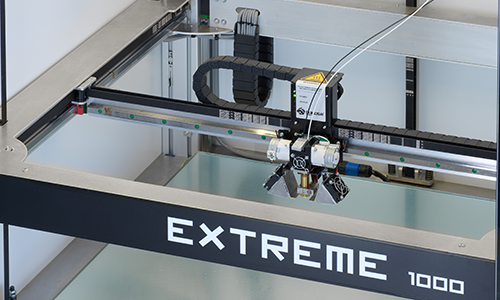 Builder 3D Printers developed its own Dual-Feed extruder for the Builder Extreme range. 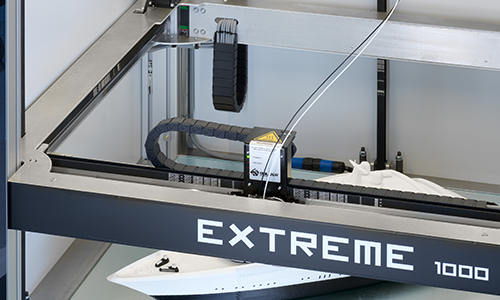 The extruder is the most versatile extruder available today. Why? The extruder is able to print dual coloured objects, print 2 different materials such as PLA with PVA as support material, but is also able to print mono when inserting 2 of the same colour filaments. Regular Dual-Feed extruders have 2 separate nozzles which has a few disadvantages such as a leaking nozzle when printing with the other nozzle. The engineers at Builder have designed their own Dual-Feed extruder and have eliminated the second nozzle, so the extruder is a Dual-Feed extruder but prints with only 1 nozzle. Printing 2 different materials through 1 nozzle is not a problem, as long as the materials melt at the same temperature. With the help of retraction, the material is able to switch rapidly. The extruder is the heart of the 3D printer, so the Builder engineers made it possible to remove the complete head out of the printer. This makes maintenance to the print head and nozzle swapping easy. In this video you can see how easy it is to remove the print head from the Builder Extreme. No other manufacture made the access the print head as easy as Builder did.